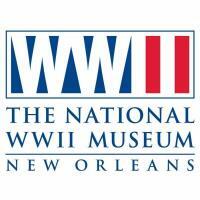 NEW ORLEANS (September 7, 2018) – The National WWII Museum was once again named among the top museums in the nation and the world in the 2018 TripAdivsor Travelers’ Choice Awards, ranking No. 3 in the United States and No. 8 in the world. Other winners include The National 9/11 Memorial & Museum (No. 1 in the nation), The Metropolitan Museum of Art (No. 2 in the nation), Art Institute of Chicago (No. 4 in the nation) and USS Midway Museum (No. 5 in the nation). The award rankings highlight the world’s most popular museums based on the quantity and quality of consumer ratings over a 12-month period. The Museum – also ranked as the No. 1 attraction in New Orleans for the sixth consecutive year – currently spans five pavilions featuring several permanent exhibits, which now tell the complete story of America’s road to war and the fight to secure freedom overseas. Permanent exhibits include The Arsenal of Democracy: The Herman and George R. Brown Salute to the Home Front, Richard C. Adkerson & Freeport-McMoRan Foundation Road to Tokyo: Pacific Theater Galleries, The Duchossois Family Road to Berlin: European Theater Galleries and the institution’s original exhibit The D-Day Invasion of Normandy, which recently reopened to the public after undergoing renovations. As part of a $400 million capital expansion, the Museum is working to complete its campus in New Orleans by 2021. The Bollinger Canopy of Peace - a $14 million architectural structure - will unify the distinctive campus and become an iconic element on the New Orleans skyline. Additional expansion plans include The Higgins Hotel & Conference Center, an elegant property that will feature 230 guest rooms and more than 18,000 square feet of conference space to support the institution’s expanding visitation and educational programs; the Hall of Democracy pavilion, which will house academic and outreach programs as well as additional exhibit space; and the Liberation Pavilion, focusing on end-of-war and postwar experiences, as well as the war’s meaning for citizens today. Since its opening in 2000, over 6.6 million people have visited the Museum. The Museum ended fiscal year 2018 with record-breaking attendance of 754,465 guests, representing a 10 percent increase from the previous fiscal year. The institution employees 343 full-time jobs and provides $196 million in annual economic impact to the state of Louisiana.